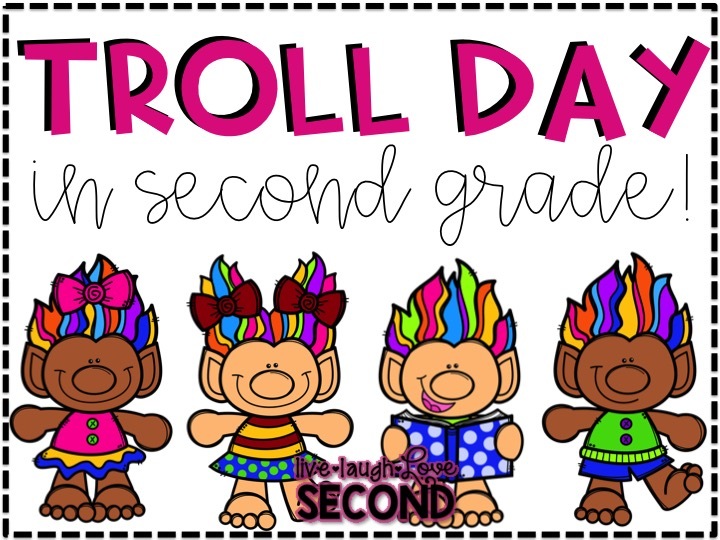 Live, Laugh, Love Second: Troll Day! Happy beginning of Summer Break (to most of my friends)! This school year just flew by! And while I will take a break any day of the week, I will admit that I wasn't tired of teaching...yet! We have a great schedule at my school that includes 2 week breaks at the end of quarters 1-3. Not to mention the snow days and random holidays. So just when you're needing a break...you get it! I actually think it makes me a better teacher because I'm refreshed and ready to go again for another 9 weeks! For our last week, we pretty much stuck to our curriculum. But for one day, we had permission to watch the movie, Trolls! So...we decided to make the entire day Trolls Day! Now-don't think for a second that we just plopped our kiddos in front of a TV for a movie! We had some fun activities that aligned with some concepts we had been teaching or reviewing to go along with the movie. Check them out below! 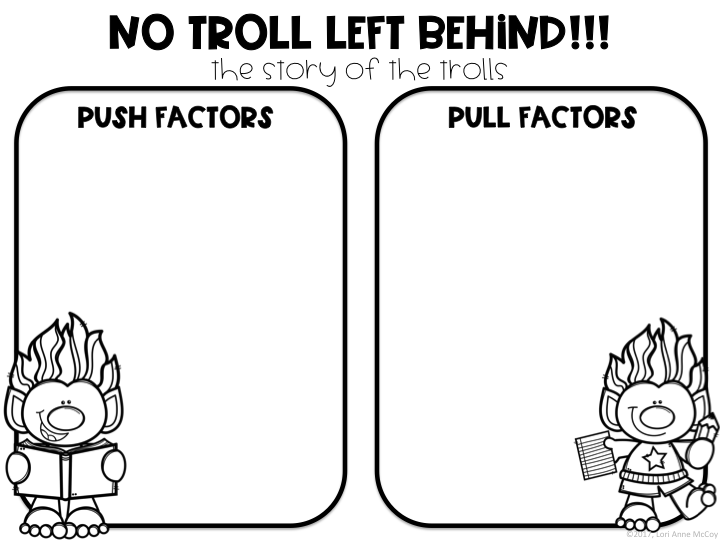 We just recently finished our CKLA Domain study on immigration, and we talked a lot about push and pull factors. So, after the Trolls leave the Troll Tree, we had the kids work with buddies to discuss why they left and why they picked their new home. How awesome was this sweetie's answer for Pull Factors...the "sweet lackustis!" That would be...the sweet acoustics! She was obviously a great listener! You can download a copy of the activity HERE. The kids were super pumped about this particular project. It was created more as a team project, but it was very STEM in nature. 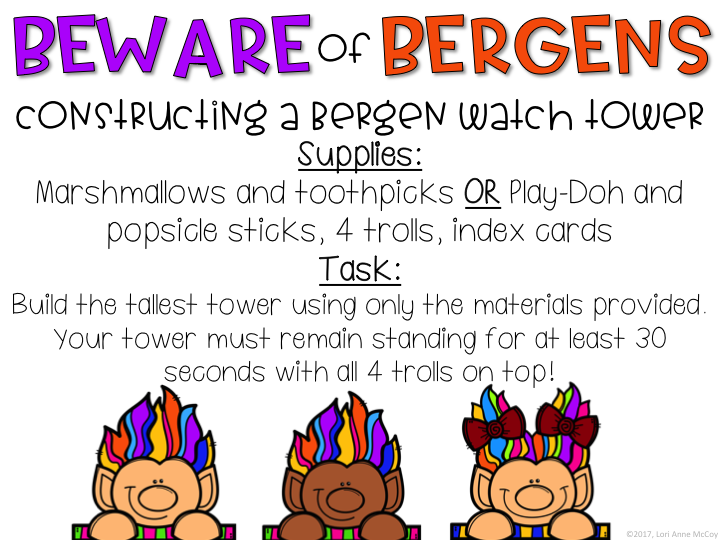 The kids were given about 100 popsicle sticks, 3 cans of Playdoh, an index card, and 4 little people counters to use as their "trolls." 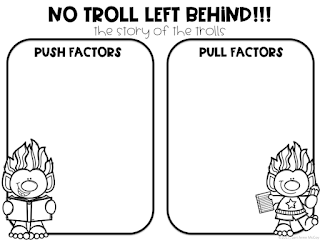 Basically, they had to build a structure that would hold their Trolls on an index card for at least 30 seconds. Easy, right? I wish I could post the pictures of their faces as their elaborate structures collapsed time and time again. I will say that I was very proud of how they persevered, even when met with failure time and time again. A few of the groups did manage to get a structure going, and one group managed to get up to 8 inches. It wasn't anything like what I thought they would build, but it worked! Here was another attempt. They did get their index card and Trolls on top, but the other structure was about an inch taller. Overall, they had a lot of fun. They did fill out a response sheet on their structure that included their strategy and a drawing of the structure. 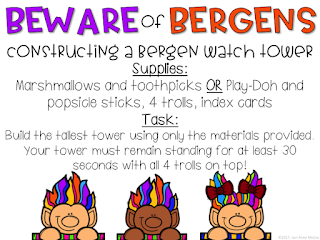 You can download a copy of this activity HERE. This was the activity they were the most excited about. Basically, each kid was given a half a yard of colored tulle, a headband, scissors, ruler, and a ribbon. 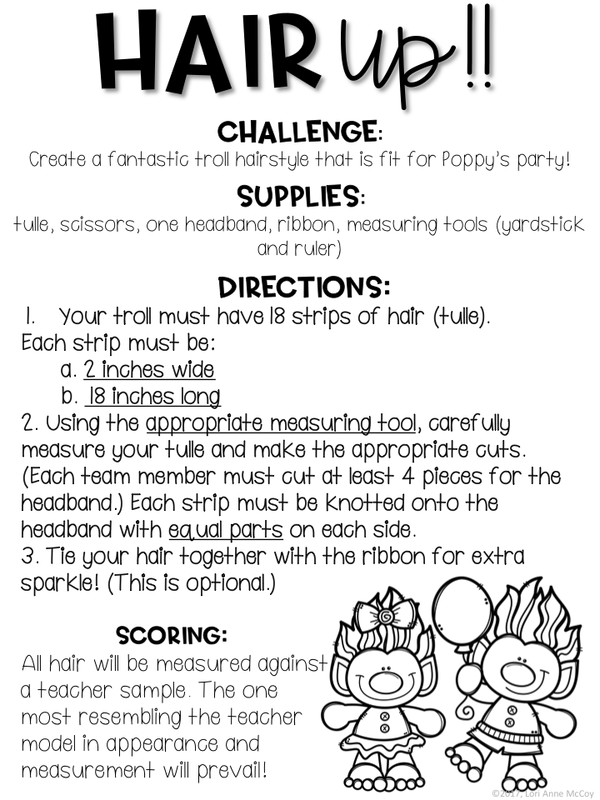 They had to measure and cut 18 pieces of tulle that were two-inches wide to tie onto the headband. They weren't perfectly measured, but they sure were cute. 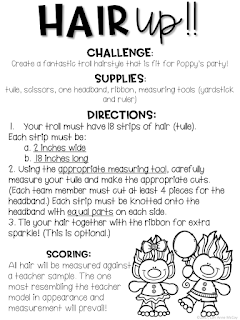 It was a fun activity that incorporated measuring, cutting, and tying, so I won't complain! 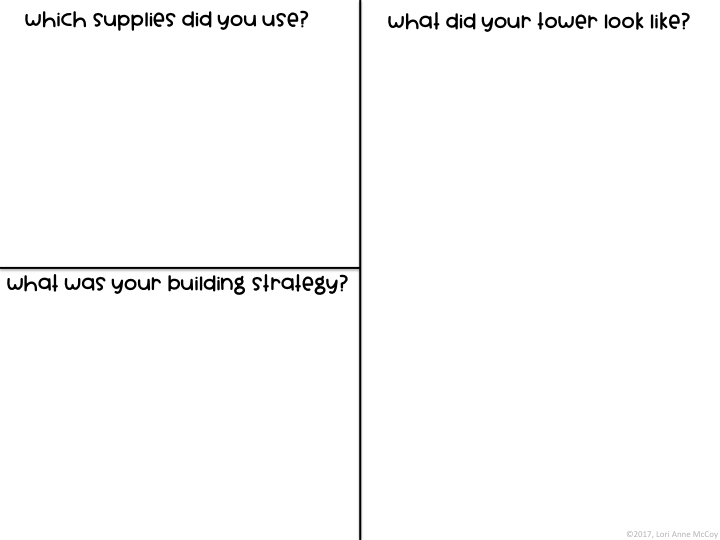 You can download a free copy of the activity HERE. 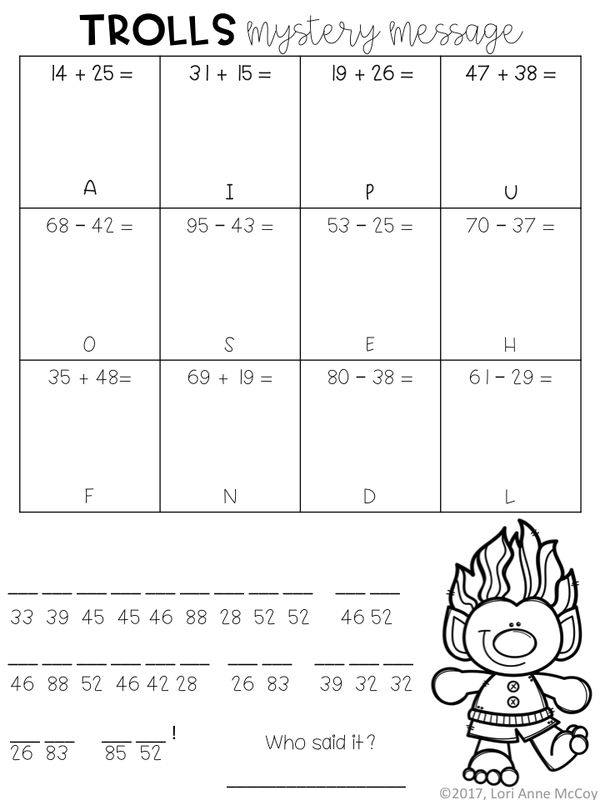 I have never seen my kids solve math problems as quick and correct as they did on this activity. They were dying to figure out what the message was. I really liked how it was self-correcting. If their answer was not at the bottom, then they knew they needed to try again. You can download a free copy for your class HERE. Overall, it was a really fun day. We do special activities and projects all the time, so the kids are pretty used to it, and there were only minor behavior issues. But...it never gets old to surprise them with some fun learning opportunities! We will definitely be doing it again next year!